The Vol. 4, No. 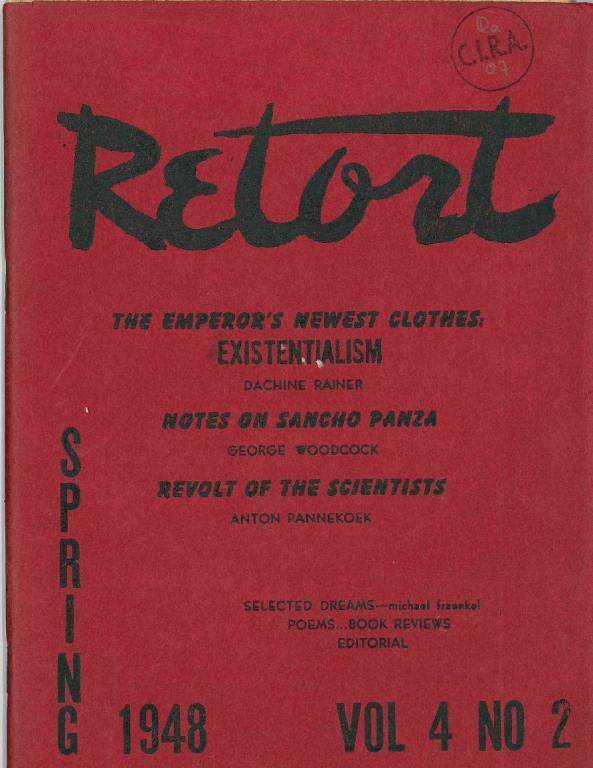 2 (Spring 1948) issue of Retort, an anarchist publication produced out of Bearsville, New York from 1942-1951. This issue digitized for libcom.org by the Centre International de Recherches sur l'Anarchisme (CIRA) in Lausanne, Switzerland.